Handling Your Air Conditioning Repairs! 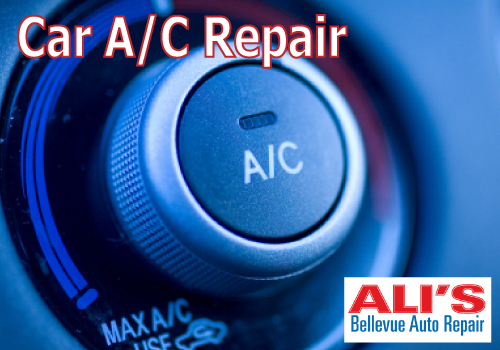 Not every auto repair shop in Bellevue wants to take on your car's air conditioning system, but Ali's Bellevue Auto Repair is ready to help you keep cool in your vehicle. We love our climate-controlled vehicles, don't we? But, what happens when it's not getting you cool anymore? Some auto repair shops are prepared to take care of these issues and diagnose what's really going on. Some shops, though, are not as experienced, and probably don't even want to do this kind of work for you. 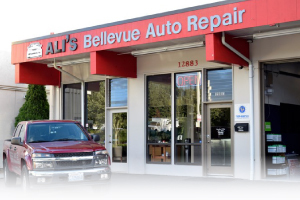 Well, Ali's Bellevue Auto Repair DOES want to fix your car air conditioning systems. This is Auto Air Conditioning Service that Bellevue WA relies upon because we have the right tools and experience to figure out what the source of the problem is. New or old, we will get in and do whatever it takes to fix, or replace, your car air conditioning system properly. Don't let your system malfunction even one more day. Give us a call and schedule a proper diagnosis.